Because of their size and weight, trucks can easily cause violent, horrific accidents that lead to serious injuries and death for the occupants of the other vehicles involved. If you have been injured or lost a loved one in a trucking accident, please call the Maurer Law Firm at 845-896-5295 today to schedule your free case consultation with Ira Maurer, an accident lawyer with more than four decades of experience representing accident victims. Truck accident lawsuits tend to be far more complex than other vehicle accidents, so it is best to immediately consult with a truck accident lawyer who will look out for your best interests. Trucking company investigators and insurance adjusters immediately start defending the trucking companies from anticipated lawsuits after an accident, and they are quick to gather evidence and expert opinions to deny you compensation or blame you for the accident. The federal government strictly regulates the trucking industry with weight and length limits and rules for commercial licenses, such as how many hours in a day a truck driver can drive, drug or alcohol testing, and strict maintenance and manufacturing standards. The Federal Motor Carrier Safety Administration was established to reduce the number of crashes, injuries and deaths involving large trucks. To carry out this mission, the Safety Administration regulates all aspects of interstate trucking operations to ensure safe practices are followed. The federal regulations are designed to ensure that truck drivers are properly qualified and trained, and that trucking companies and drivers follow safe practices when operating, loading, routing and maintaining their trucks. All motor carriers operating in interstate commerce are required to be familiar with and follow the federal regulations. Individual states also have laws specially regulating the conduct of trucking operations within their borders. An experienced truck accident lawyer like Ira Maurer understands the intricacies of these laws and regulations and how they apply to liability in your specific case. He can help you understand who may be held responsible for your injuries and what your rights to compensation against the responsible parties are. 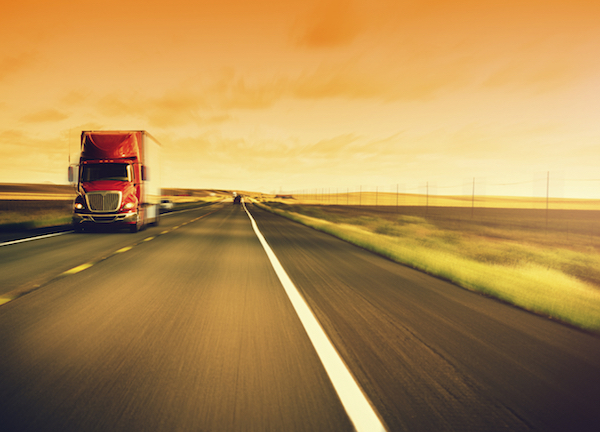 Truck drivers often suffer catastrophic injuries in trucking accidents too. If you are a truck driver working for a national trucking company and you are seriously injured due to a defect in the truck, you may be able to successfully sue for damages beyond the wage and medical benefits provided by your state's workers' compensation system. This is because the workers' compensation laws only prevent you from suing your own employer, but don't block lawsuits against another company that owns the truck or companies that manufactured the truck or individually defective truck parts. 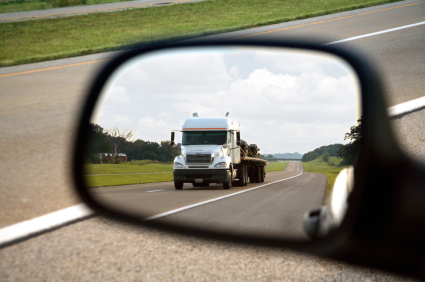 Truck accidents can happen for many reasons, and the exact cause may not always be obvious. The Maurer Law Firm has the experience and investigative resources to analyze the cause(s) of your accident. Trucking companies have accident investigators that are on-call and dispatched to the scene of the crash as soon as the trucking company learns there has been a truck accident. Trucking company accident investigations frequently include having an investigator contact accident victims immediately following the accident, when they are most vulnerable. While the families of the accident victims are tending to medical and hospital care and funeral arrangements, the trucking company is investigating the truck accident and setting up their legal defense with lawyers who specialize in defending large trucking companies. These agents work to limit the trucking company's liability and financial exposure. This is why the victims of big trucking accidents also need to have a team of investigators and truck accident attorneys on their side, fighting for their rights. Just as truck drivers are trained and required to report any accident to their superiors immediately to enable the truck company to immediately commence its own investigation, it is important that persons harmed in the accident hire an attorney as soon as possible to investigate on their behalf. The more time that passes before an investigation begins, the greater chance that important evidence may be lost. In addition to investigating the facts, a qualified truck accident attorney will also investigate and research the law before filing a lawsuit. For instance, you may have the right to choose the location where you will bring a lawsuit and whether to bring a lawsuit in federal or state court. These decisions can have a significant impact upon the amount of monetary damages you will receive. Before filing the lawsuit, a qualified truck accident attorney must research these issues and make important strategic decisions that will affect the monetary value of the case. At the Maurer Law Firm, we can fight for your rights. We have the experience necessary in these types of complex cases to thoroughly investigate the cause of the accident, identify the parties responsible, and begin pursuing legal action to get you and your family the compensation you need for recovery. "Extreme caution in the operation of a commercial motor vehicle shall be exercised when hazardous conditions, such as those caused by snow, ice, sleet, fog, mist, rain, dust, or smoke, adversely affect visibility or traction". The trucking regulation requires truck drivers to reduce speed when these hazardous conditions exist and even requires a truck driver to stop driving if the driver can’t drive safely while those conditions exist. Tens of thousands of trucking accidents occur each year, leaving victims in smaller and lighter passenger cars with severe and sometimes fatal injuries. Truck drivers themselves can also sustain serious or catastrophic injuries or death due to improper maintenance of their trucks or manufacturing defects. This is not an exhaustive list of possible injuries. If you are unsure whether you suffered the type of injury that may entitle you to compensation, please call our law firm right away. We will help you determine what steps to take moving forward. You deserve to be compensated for the way the injury has impacted your life, and you deserve the opportunity to hold the responsible party accountable. Every state has its own laws about the types of monetary damages that are available to compensate those who have been harmed by the negligence of others in a truck accident. Just as different states recognize different categories of damages, some states also have laws limiting the amount of money damages that can be recovered. Mr. Maurer will be able to explain the kind of damages that may be recovered in your case. Q. What Legal Rights Do You Have After A Truck Accident? Persons who are at the scene of the accident who are considered to have been within the “zone of danger” that experience emotional harm due to the accident. An attorney who is qualified to handle truck accident claims can advise you, based upon all of the circumstances of your case, who are the responsible parties who should be sued and which persons have a right to bring a lawsuit and/or recover monetary damages from the responsible parties. Q. Are There Time Limits For Bringing A Lawsuit After A Truck Accident? A. Yes, except for very rare exceptions, there are time limits (statutes of limitations) for bringing a lawsuit. Once the time limit expires, with few exceptions, you lose your right to recover monetary damages from those individuals or entities that were responsible for causing the accident. The statutes of limitations are determined by the nature of the claim involved. For example, a personal injury claim based upon negligence in one state may have a three year limitations period while a wrongful death claim may only have a one year limitations period. In addition, the limitations periods for different types of claims vary from state to state. Furthermore, the statutes of limitations can be extended under certain limited circumstances. After an auto or truck accident, it is very important to contact an attorney as soon as possible to find out how long you have to bring a lawsuit. Q. Should I Speak With Representatives Of The Trucking Company Or Its Insurance Company? A. Another important reason why you should hire an experienced trucking accident attorney soon after the accident is that the attorney will know how to respond to inevitable inquiries from the trucking company and/or its insurance company. Beyond your duty to provide information to the police at the scene of the accident, you should not give verbal or written statements about the accident or your medical condition to anyone. If anyone other than your own insurance company contacts you about the accident, the best thing to do is give your attorney’s contact information to the inquirer and nothing more. As explained in the previous answer, the ultimate goal of investigations performed on behalf of trucking companies and their insurers is to pay the persons harmed as little money as possible. To accomplish this goal, potential defendants will attempt to obtain information from you that can be used against you in a lawsuit. Once you have hired an attorney, these companies know that they will likely have to pay much more money to resolve the claim. For this reason, the trucking companies and their insurance companies will offer to settle with you for minimal money before you understand your rights. One method used by these companies is to have a "friendly" adjuster contact you and appear genuinely concerned with your medical condition and how your bills will be paid. That concern will vanish as soon as you are represented by an experienced trucking attorney. Q. How Long Does It Take To Litigate A Trucking Accident Case To Its Conclusion? A. The answer to this question varies from case to case depending upon a number of factors. Sometimes it takes an extended period of time for the treating doctors to figure out why a patient may still be experiencing pain after an injury. Cases should not be brought to a conclusion before you, your doctors and your attorney have a clear understanding of the nature and extent of your injuries and disabilities and whether or not you will need additional treatment and/or surgery in the future. The duration of a case will also be determined in part by where you bring your lawsuit. Some courts have longer lists (dockets) of cases that are waiting to proceed to trial than other courts. Another factor that affects the length of time you will have to wait for your case to be concluded is the number and nature of defendants who are brought into a case. There is a correlation to how many defendants are in a lawsuit and how long the lawsuit will take to be concluded. This is because it takes more time to schedule all phases of the litigation when there are more parties to the lawsuit. Furthermore, corporate defendants tend to have more financial resources available to defend themselves. If allowed, those corporate defendants may attempt to engage in litigation practices that are likely to delay a resolution of the case. An experienced trucking accident attorney knows the importance of identifying and including all individuals and companies that should be a part of the lawsuit and has the experience and resources to deal with the defendant's attempts to delay the case. Q. What Kinds Of Things Happen During Trucking Accident Lawsuits? You will have to sign authorizations that will permit your attorney and the defendant's attorney to obtain your medical records, employment records, insurance records and state and federal tax returns. You may also have to provide pre-trial deposition testimony. You will be involved in settlement discussion as the case proceeds. Your attorney will serve as an advisor about any settlement offer, but you will make the final decision about whether or not to accept any settlement. If the case does not settle before trial, you will need to attend and testify at the trial. Q. What Should I Keep In Mind When Selecting A Truck Accident Attorney? A. First and foremost, you should hire an attorney or law firm that is tough, experienced and respected. Your attorney should be reputable, have a track record of success, and fully committed to fighting on your behalf. You should feel comfortable with your attorney and be confident that they are committed to keeping you educated and informed at every stage of your case. Do not hire an attorney solely because they are a friend or family. While such attorneys may have your best interests at heart, they may not have the experience, knowledge and resources to help you obtain all of the monetary damages you should receive in the most efficient way possible. The Maurer Law Firm represents seriously injured victims of truck accidents across the United States. If you have been seriously injured or have lost a loved one in a truck accident, or are a lawyer seeking co-counsel, we welcome your inquiries. 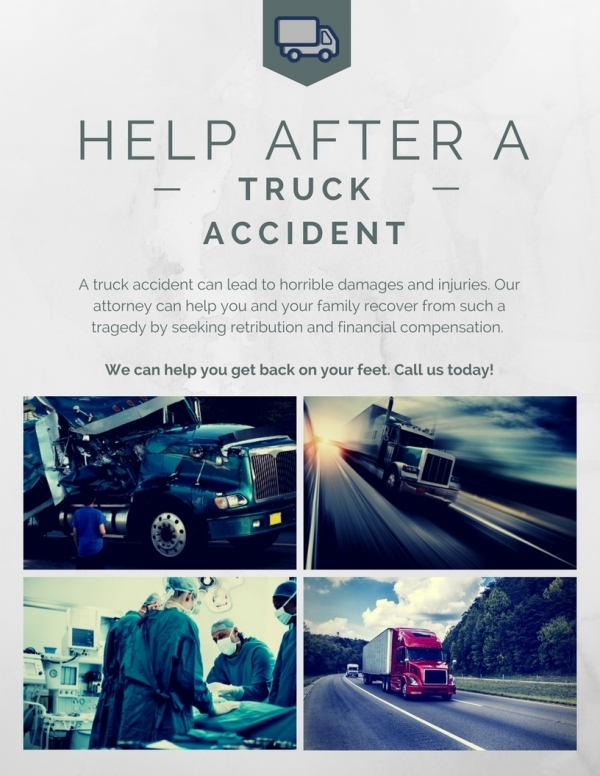 To speak to our experienced Fishkill truck accident attorney in a free consultation, please contact The Maurer Law Firm, PLLC, today by calling 845-896-5295.